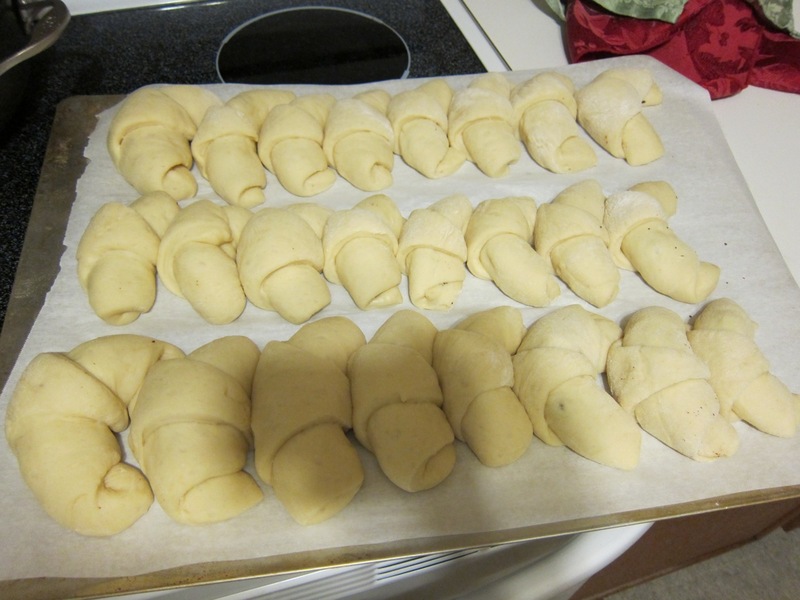 I made some whole wheat chocolate croissants that the family can eat for Thanksgiving breakfast. 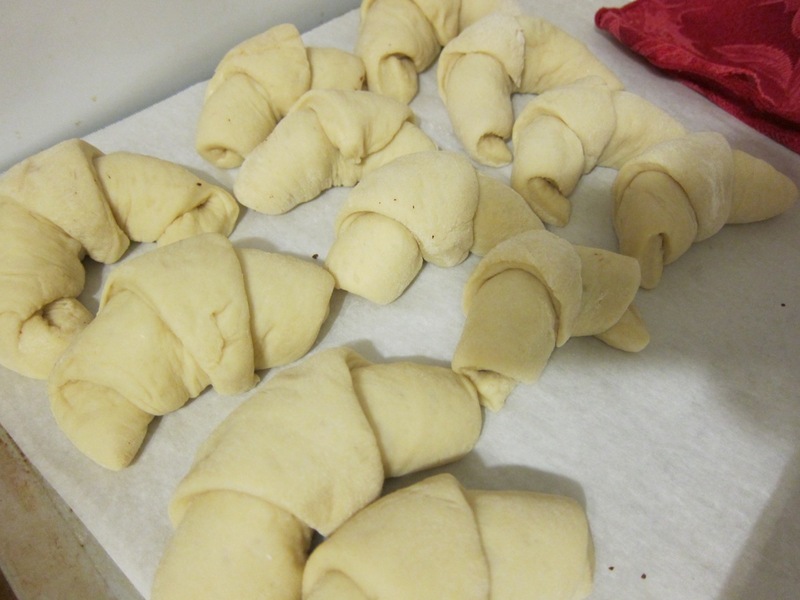 They have more of a “wheat” taste than the white flour ones I made before, but I was trying to use more wheat as an effort to be a bit more healthy. 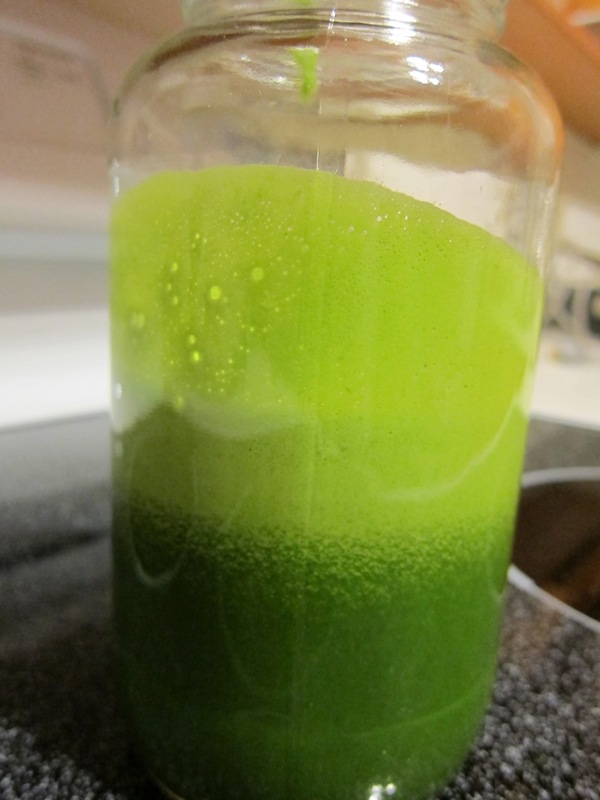 I used my juicer to make some green juice: broccoli, kale, spinach, carrots, and apples. 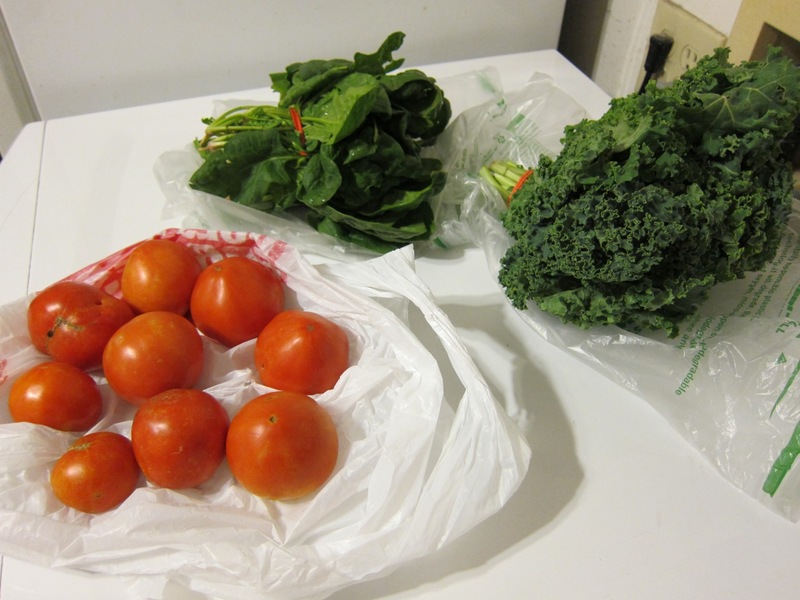 I went to the Farmers’ Market today and got some beautiful kale, spinach, and tomatoes! 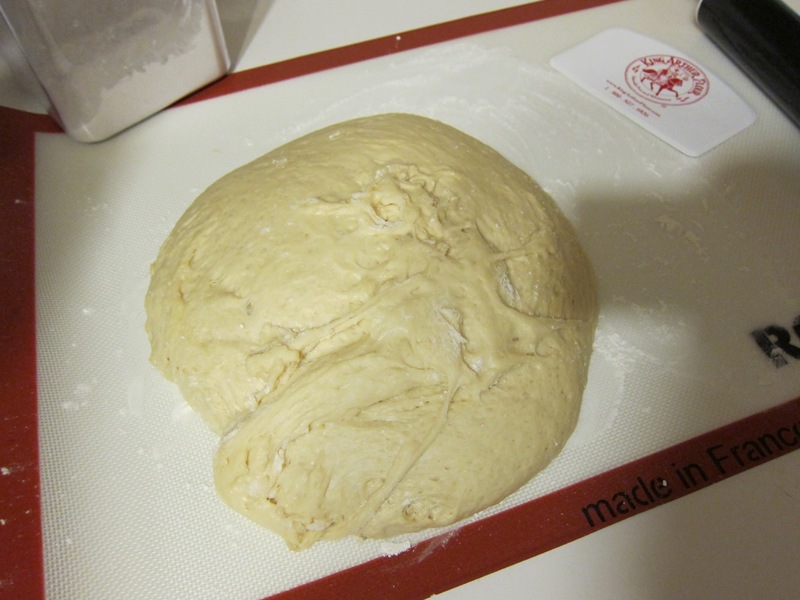 I haven’t been getting a local box for a while, because I was waiting for a change in produce with a change in the seasons. 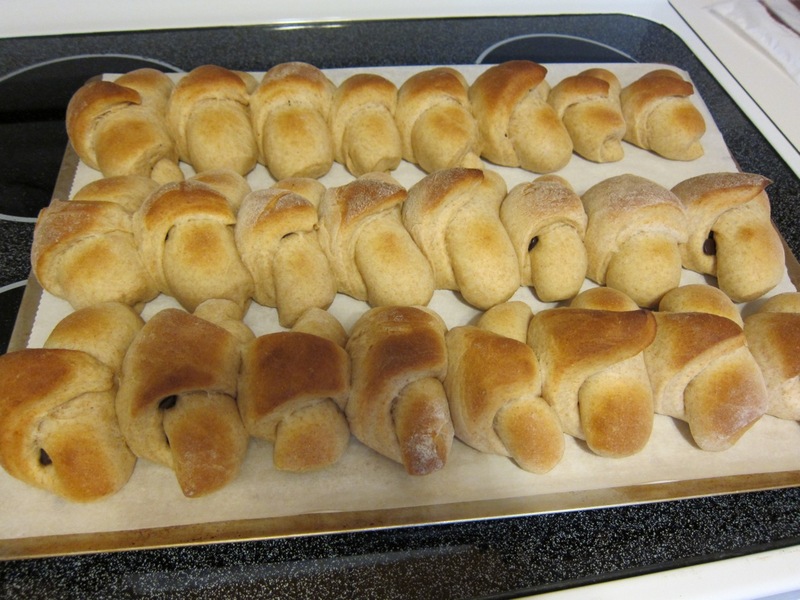 Then, budget-wise, the local box was a bit too expensive, so now that the weather isn’t 112 degrees, I’m going to try the Farmers’ Market more often. 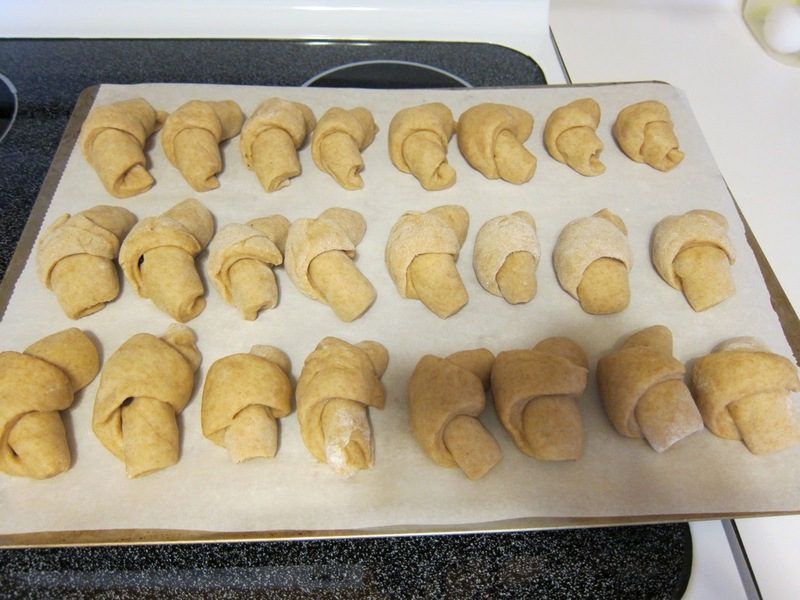 I used a recipe from The Food Nanny Cookbook for crescent rolls, and I filled them with chocolate! 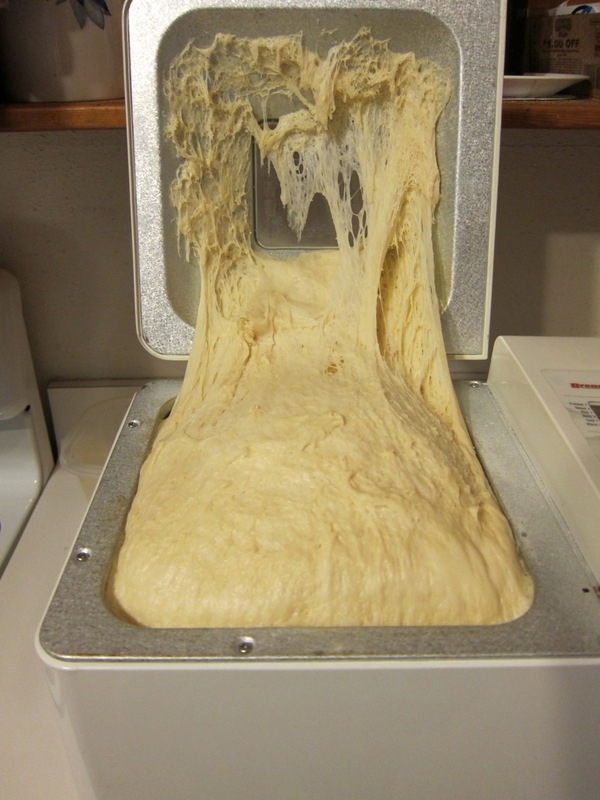 Word of advice: once the dough has finished mixing in the bread machine, move it to a larger container for rising! 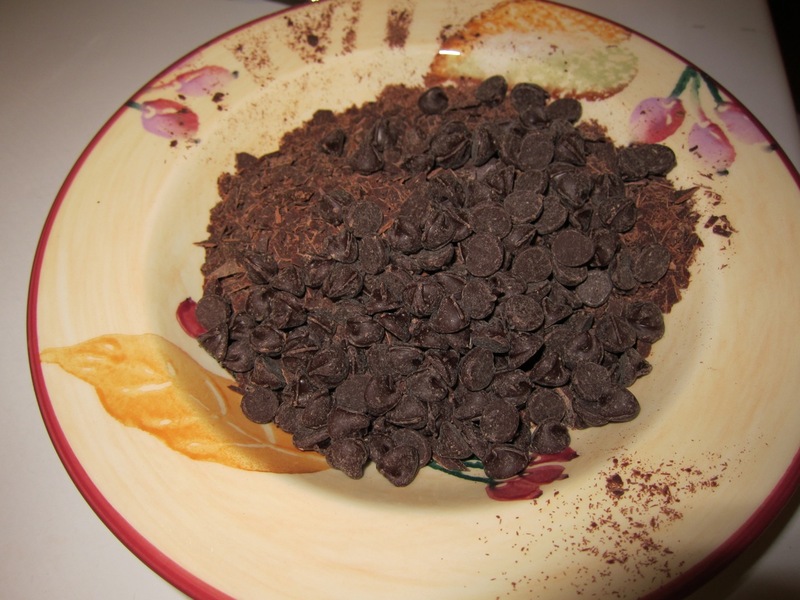 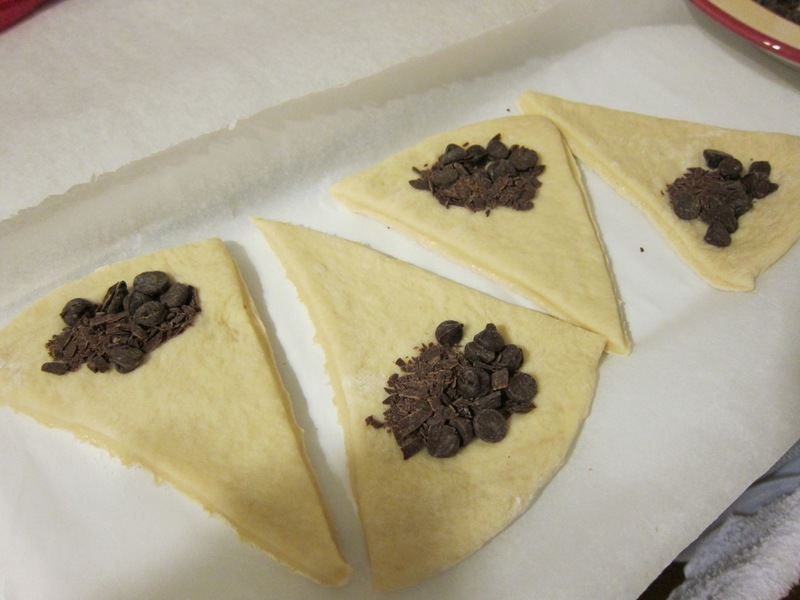 I did a mixture of chocolate chips and shaved dark chocolate. 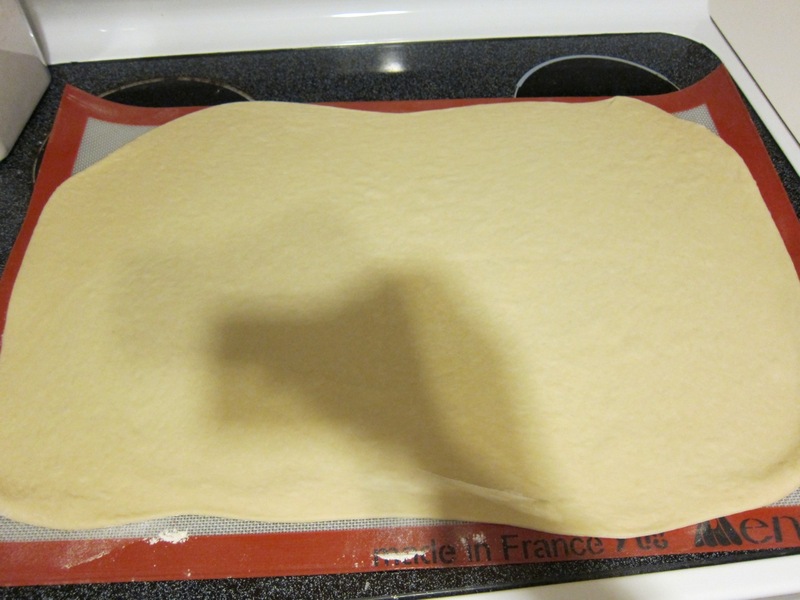 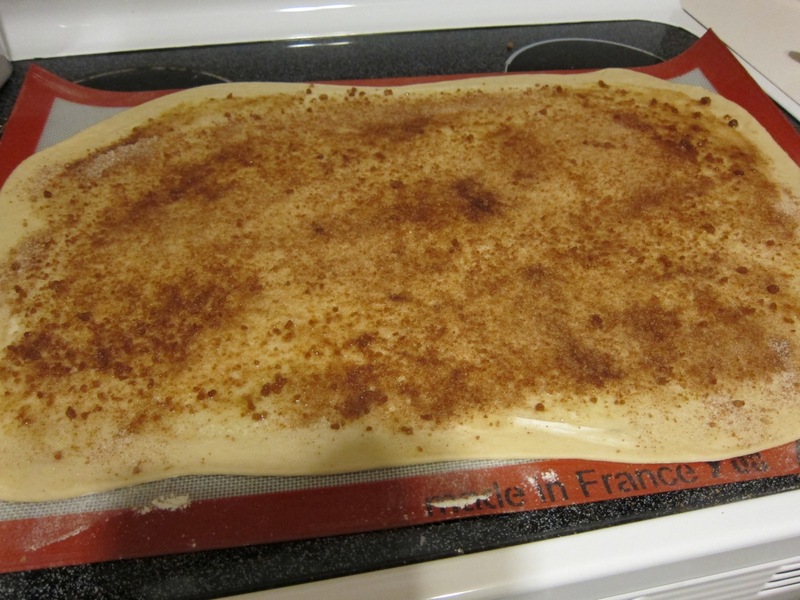 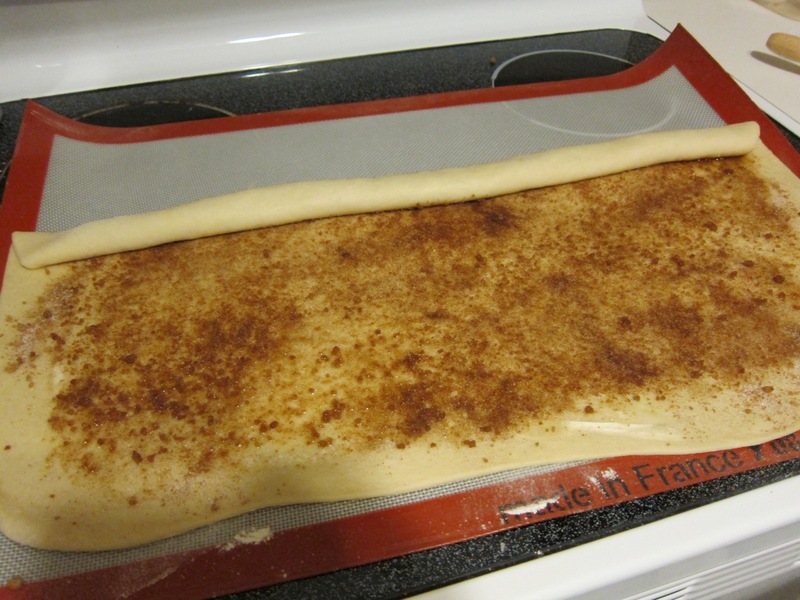 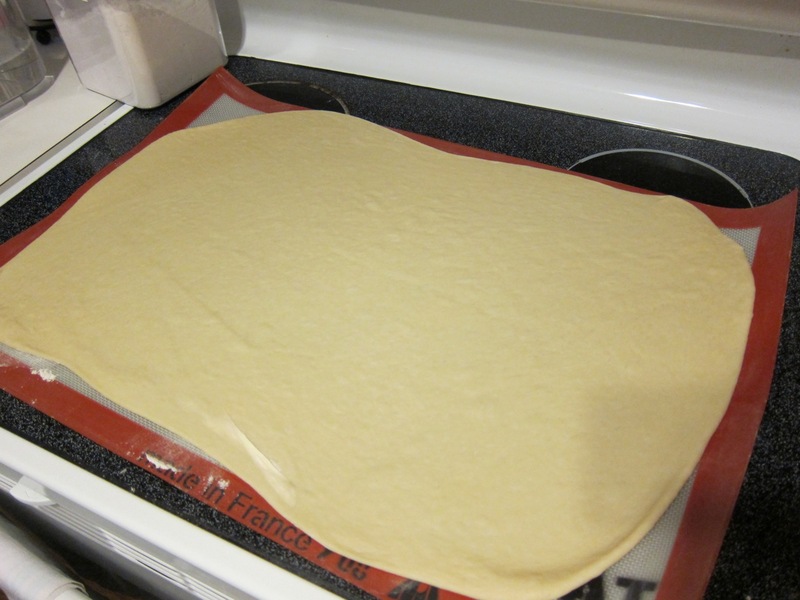 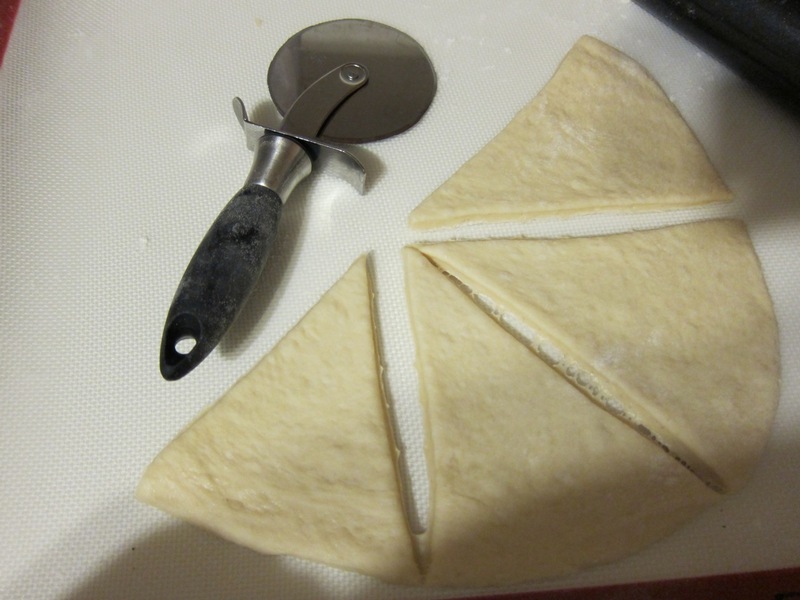 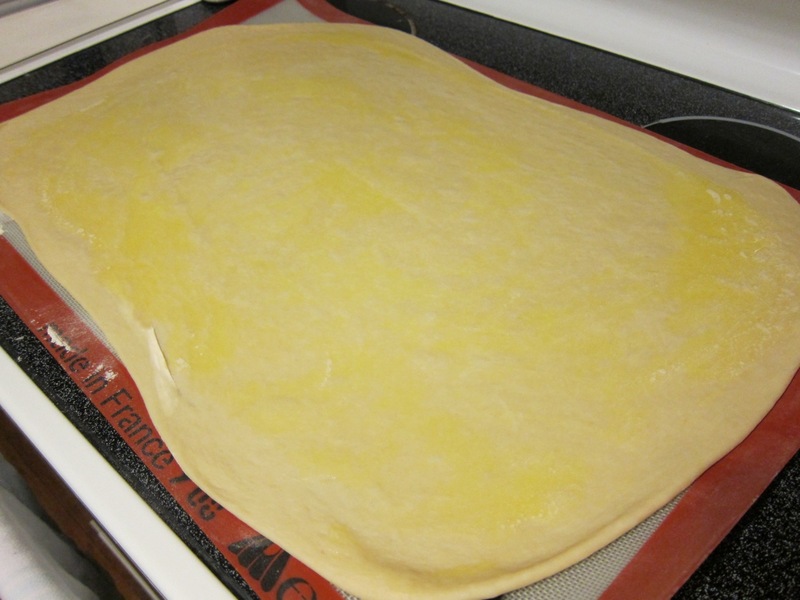 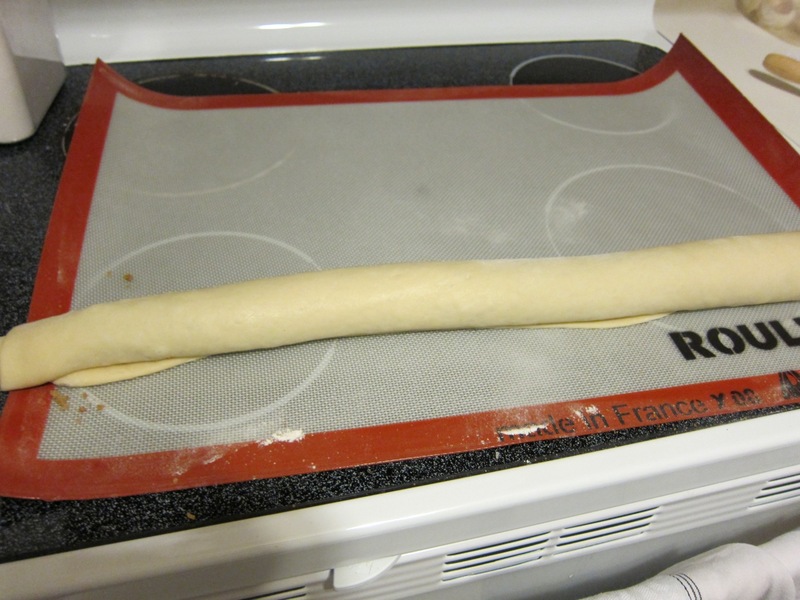 Roll the dough into circles and cut into eighths with a pizza cutter. 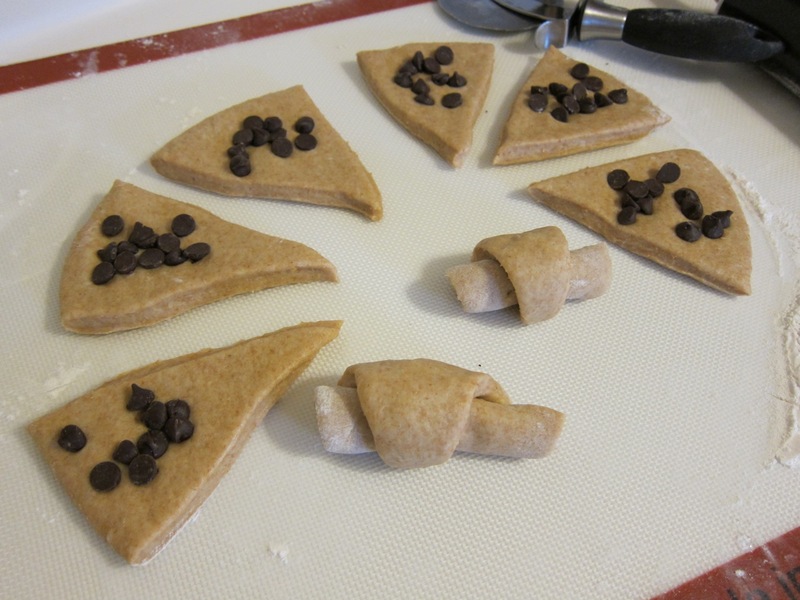 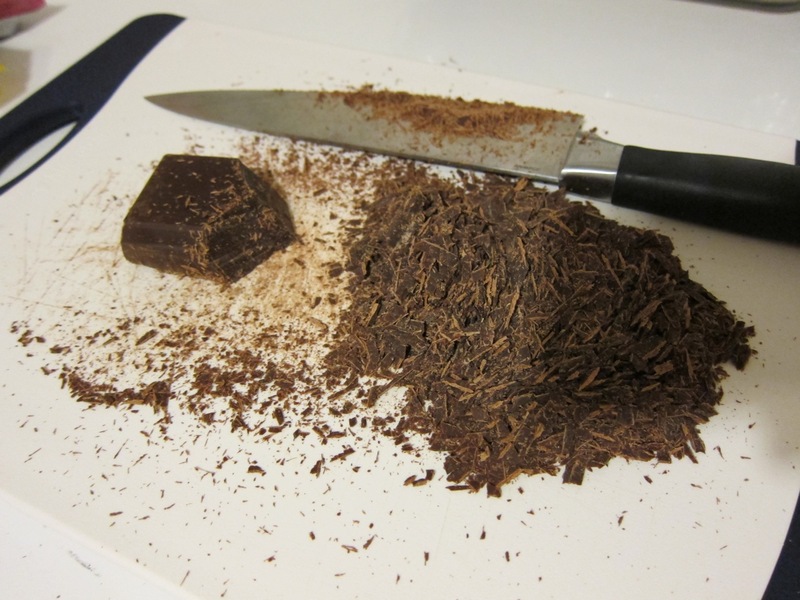 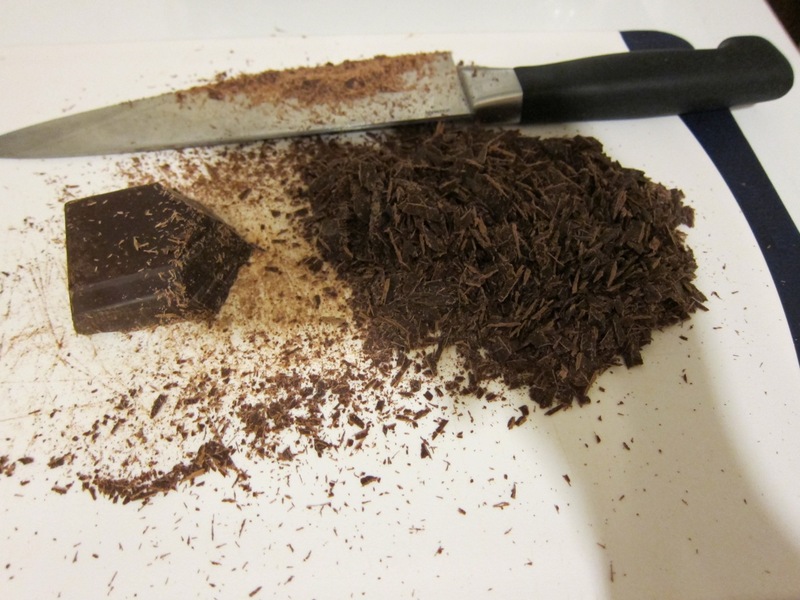 Add chocolate and roll up. 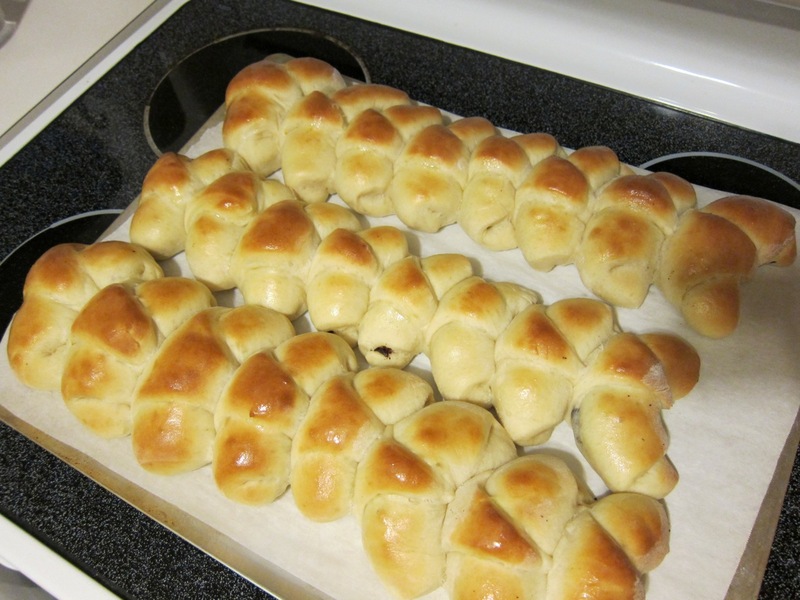 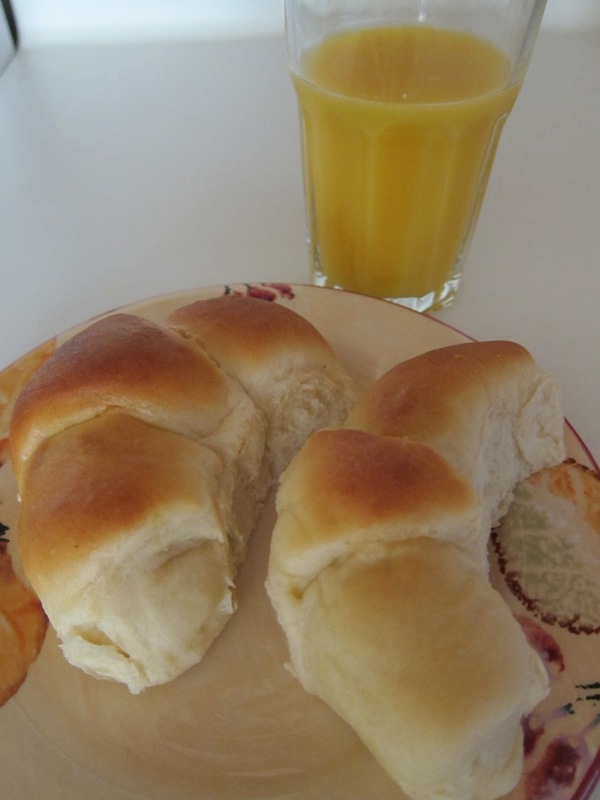 Bake and brush with melted butter! 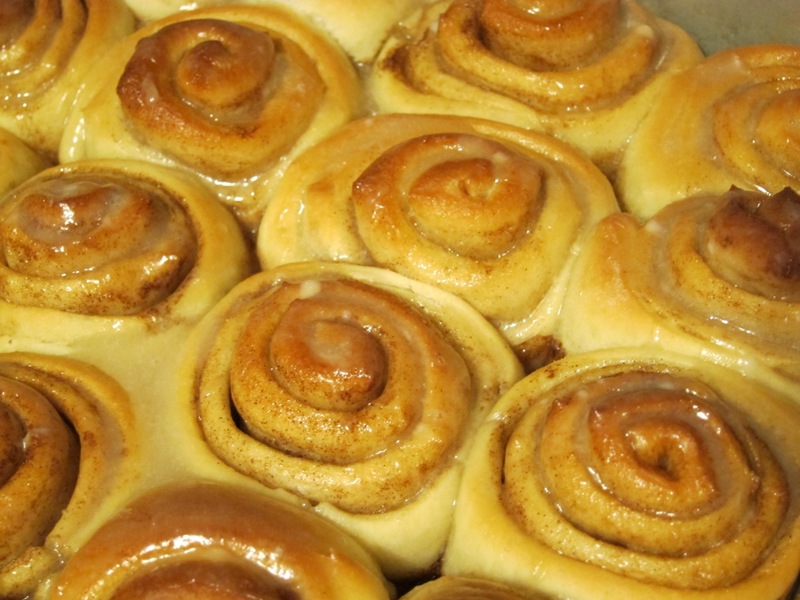 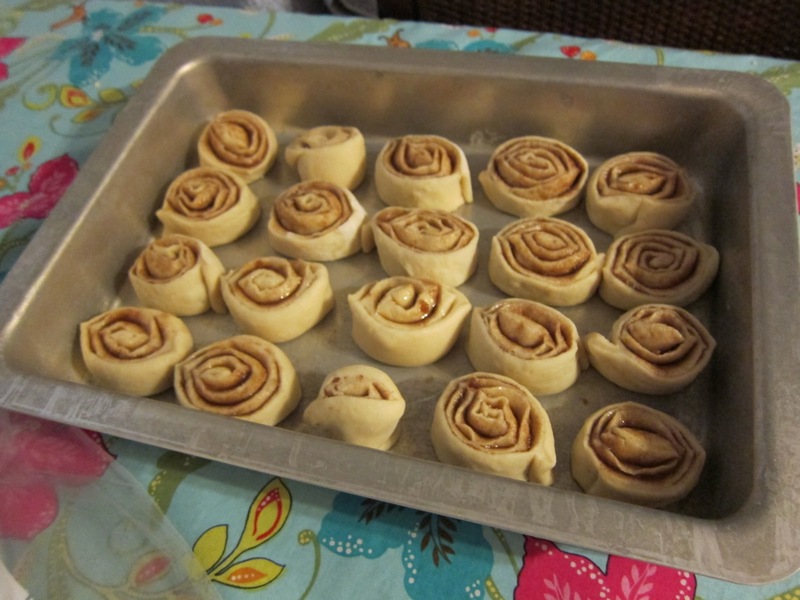 I made cinnamon rolls using a recipe from The Food Nanny Cookbook for the rolls, and a family recipe for the icing. 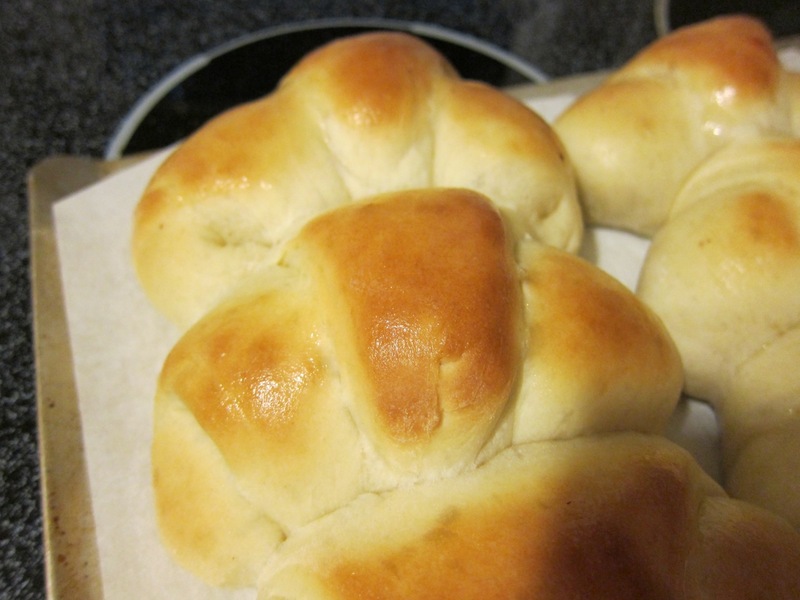 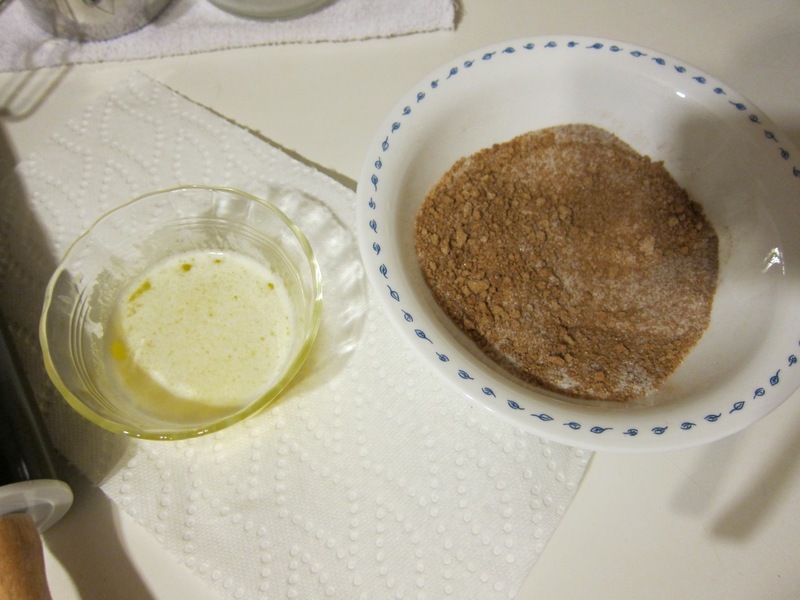 I made the dough in my bread machine, which made things much easier. 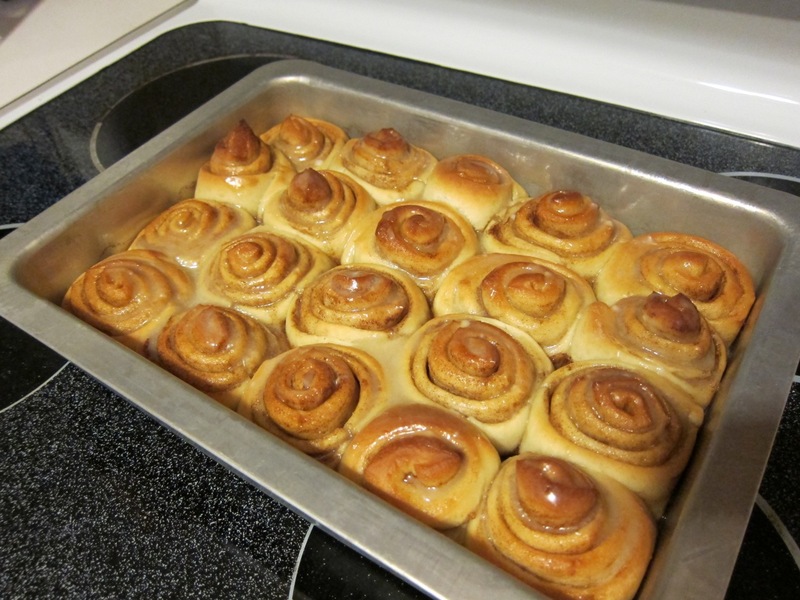 After baking, pour on the icing! 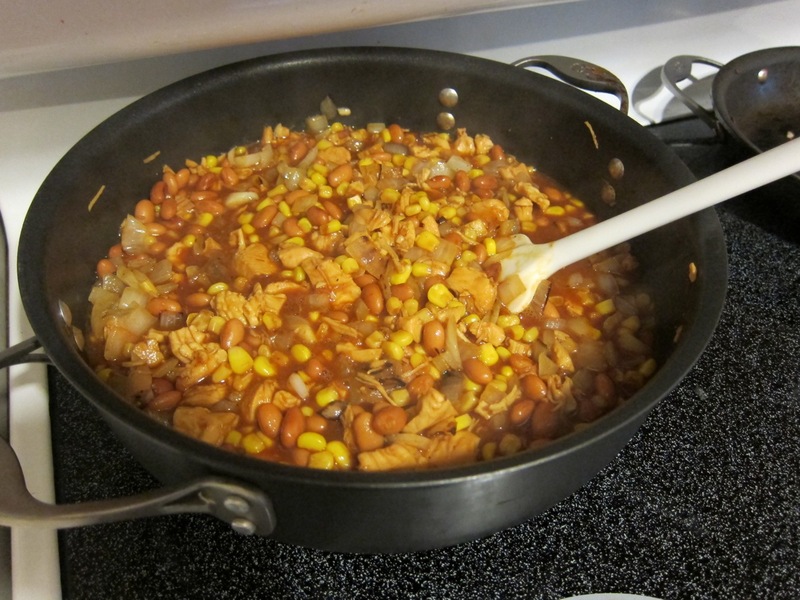 I made a big batch of BBQ chicken taco filling with beans, chicken, corn, onions, BBQ sauce, and water. 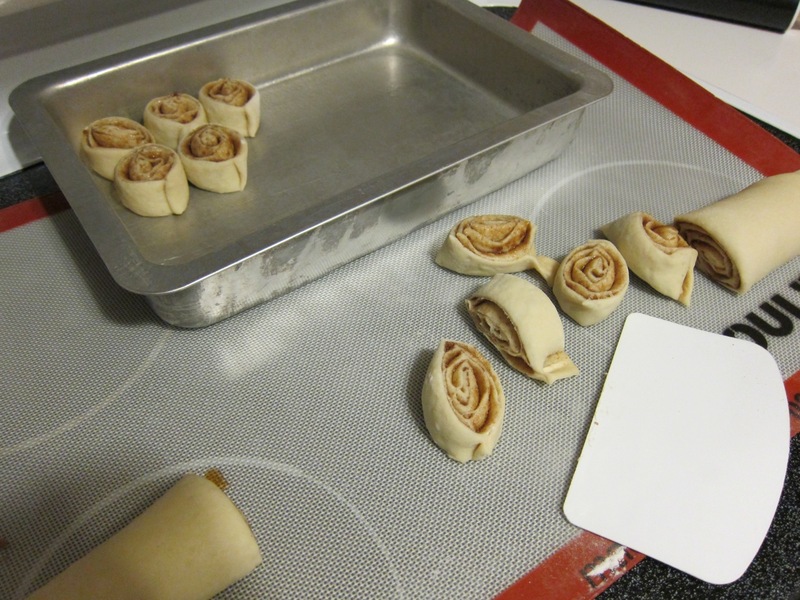 After letting it cook, I set it aside to cool, and then portioned it into several baggies for the freezer. 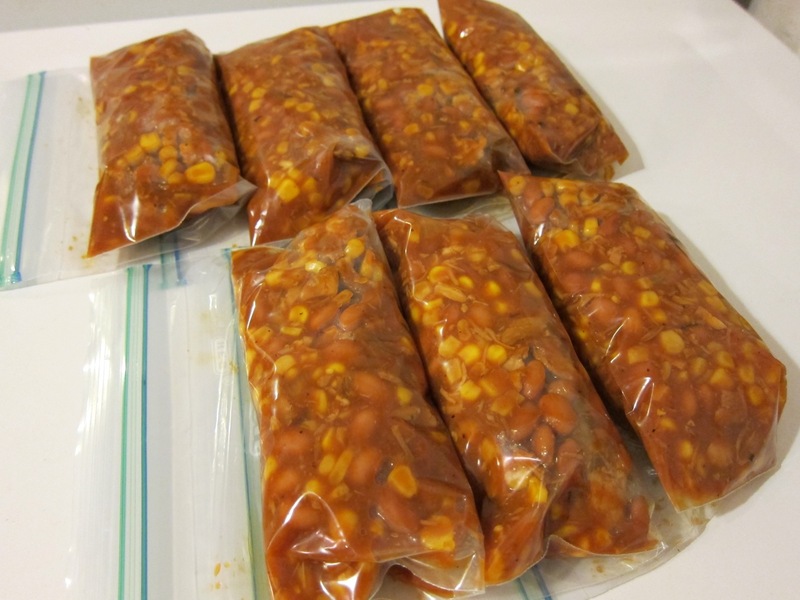 Now we have another set of meals that we can pull from the freezer when we need a quick lunch or for nights when we don’t feel like cooking.